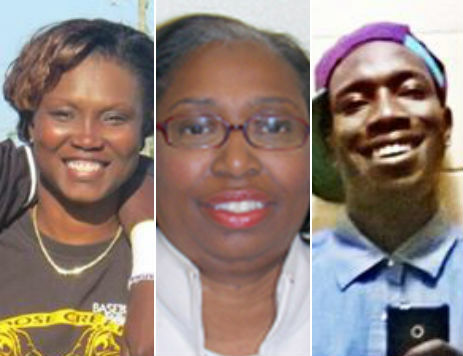 About one week ago, the latest American massacre took place in Charlestown, South Carolina. Using my Facebook feed as a guide, here is a glimpse into what people are thinking … with three glaring absences. * It’s an individual problem. * We are a racist country. * Who the shooter is. * What white supremacist leader contributed to both the shooter and political candidates. * “My” right to own guns. * Gun Control or lack thereof. * There should be guns in churches. Or not. * The Confederate Flag should be lowered. Or not. * And from the vast majority …. Silence. 1. Discussion about the victims as individuals – their names and who they were. 2. That this was a crime against Christians. The third absence reveals a lot about ourselves. It may simply be our numbness to violence or a reflection of not knowing what to do, but we simply don’t act. I don’t personally know one individual that acted in response to the shooting or spoke up to say they are already working in this area. Even in a small way. Myself included. At the very least, we can reflect on our individual inaction. Perhaps by focusing less on the perpetrator and more on how the victims led their lives we may find more ways to act in our own communities – One was a librarian who helped people learn and grow. Another just graduated from college getting started in journalism. Another was a track coach. One man was community leader. One woman had just retired from a community block grant program. Another lady cleaned up after others. And on and on. Maybe it’s time that we give more time to what we are not thinking … and not doing. It took some digging, but this link is an attempt to fill in the first absence. It gives the names of the victims, their pictures, and a little about who they were. Please visit it. This entry was posted in In memoriam and tagged action, Charlestown, Christians, shooting, voilence. Bookmark the permalink.